BigDryFly.com: Return to home waters, back to the Poudre. 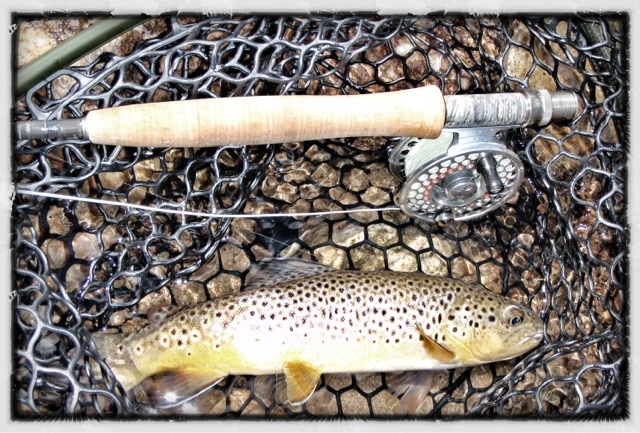 After fishing both oceans over the last couple of weeks, it was time to visit an old friend, the Poudre River. The PR has always been a very special place for me, and it is the river I know best. I have an adventurous streak in me, and I enjoy figuring out new water. But as someone wise once said, home is where the heart really is. The river was fast and dark, with lots of debris. We have had a ton of snow and moisture here lately, and all that melted water has to go somewhere. The water is darker than normal runoff due to the ash still clinging to the riverbanks after the fires of last summer. Although it makes the fishing tougher right now, I'm very glad to see the start of a runoff. Even though the river stayed low and clear last year (before the fire of course), it is much better for the health of the river for it to be full of water...dirty or not. The time astream caused me to think of all of the trout brought to hand over the years on this river, often in the presence of great friends. Weekly Friday trips with Noconympher and JT, 50 fish days on a stretch called "Rainbow Road" with DG, and catching a big trout with a size 12 Royal Wulff dry fly on a cold February day while fishing with Morty from TFM. Here's to many great days ahead on the PR this season...but for the time being, I'm going to get the float tube out, and head to the lake. Welcome home Mike. I'm sure the river missed you. Tons of fishin ahead of us buddy and look forward to Grayling from the belly boat! Great post and keep our fingers crossed mother nature is good to the finned friends and the river as she cleans up the ash! 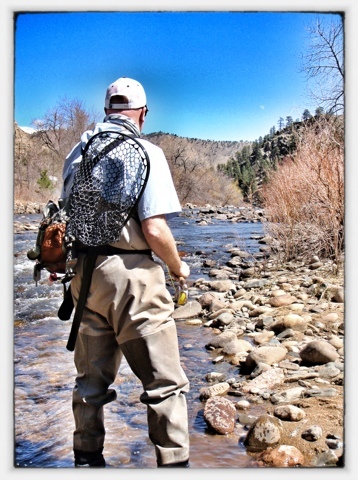 Dammit I miss the Poudre River. Last year wasn't the first big fire in the Poudre drainage; it won't be the last. Fortunately, God created an ecosystem that cleans up after itself. By late summer, we'll be stomping through all our old haunts, BDF. In the mean time, I love your belly boatin' idea. Time to swim with the fishes!